A friend loaned me this book by Graeme Macrae Burnet a while ago, and I finished it yesterday. 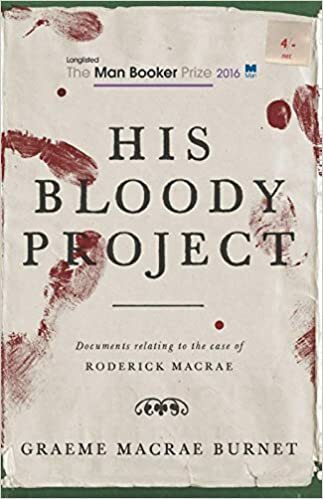 It is an interesting and troubling novel about murder in the Wester Ross area of Scotland in the late 19th century. Right from the start you know who did it, as the whole first section of the book is a written narrative by the murderer describing his life, family, village, and the circumstances leading up to the three murders. He freely states his guilt in this matter. After his narrative, there is a section on the medical reports with the big question being the murderer’s sanity, and then the trial. Although there is a particular inevitability in the whole book, the story is compelling and there is enough intrigue to hold your attention. And the writing is very good, especially the murderer’s narrative. The author did an exceptional job writing with the language and patterns of the time. As the protagonist is Roderick Macrae, one almost wonders if there is a link. But is this indeed fiction. This book was short-listed for the Man Booker prize is 2016. I’ve always been intrigued by this prize, as I often like the books selected as the finalists and the winners. This year’s short list was just announced, so I’ve decided to try to read them all before the winner is announced on October 17. Well, except for the one titled 4321 because it has 900 pages!